BALPA is the professional association and registered trade union that represents the interests of over 10,000 UK pilots and aircrew. The client was concerned that their existing brand properties were very weak and inconsistent, and their logo was dated. 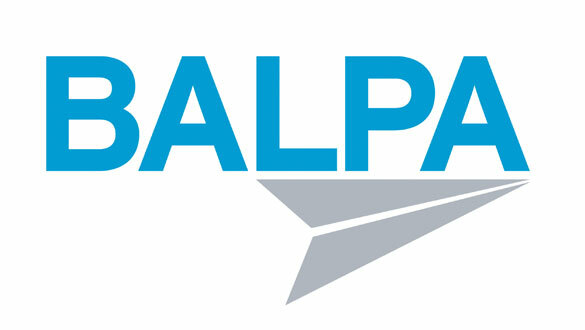 BALPA wanted a brand identity in line with their new brand positioning and values and that would reflect the dynamic and technological aviation industry. However, they felt the logo had a lot of equity so requested an evolution option as well as a revolution one. Blue had to remain as the core BALPA colour. We created a new brand visual identity that reflected their revised brand strategy, with a new logo, font and complimentary brand colour palette. We were also tasked with creating sub brand logos for BFS (BALPA Financial Services), RAMS (Reps and Members Services), Flight Safety, Legal, Professional Affairs, Scheduling, and Communications. As well as a new business card and membership card, we designed a web page, PowerPoint template and corporate signage for their new offices. In addition, we produced flyer and poster templates and a company council newsletter template with publishing software recommendations. At the end of the project, we provided a full set of brand guidelines to ensure brand consistency whether for internal use or for suppliers.